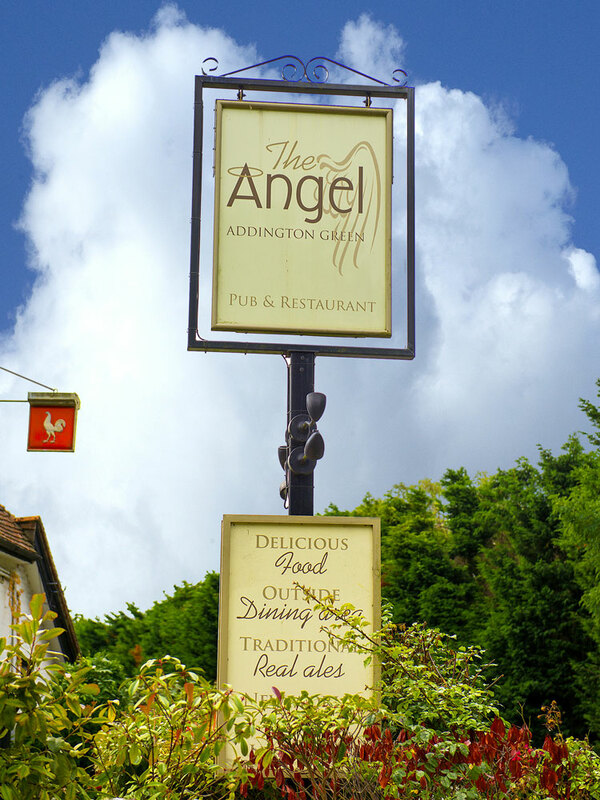 Set back from Addington Green, The Angel Inn is a picturesque 14th Century building serving a wide range of freshly prepared dishes in a relaxed, traditional and inviting restaurant environment. With indoor seating for up to 92 people, a front and rear garden including a terrace area for outdoor dining, The Angel Inn provides a year round dining experience for all occasions. To compliment your dining we have a varied New World wine list and serve a selection of real ales. Our Stables restaurant area is ideal for functions, larger groups, parties or special occasions. It can seat up to 42 people for large group bookings or be split for smaller groups. We offer a 3 course party/celebration menu or can tailor a buffet to suit your budget – just ask. This area of the restaurant was added in the 18th Century and has great character with tables located within the stable blocks – an ideal meeting place for clubs and social groups. To make a function booking, please download our Functions Booking Form. 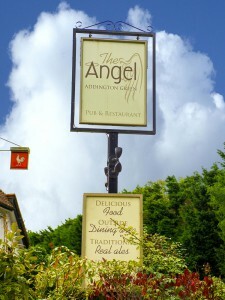 We look forward to welcoming you at The Angel Inn soon. Please get in touch if you would like to book or have any other questions. Copyright © 2016 The Angel Inn. All rights reserved.